A high bounce rate means that visitors are leaving your website without looking around. This leads to low engagement, poor lead generation and under achieving sales figures. Not the way to run a successful WordPress website. But don’t worry. In this article we are going to look at some of the causes of high bounce rates, how to track bounce rates and, most importantly, what you can do to fix them. The bounce rate is the number of people that leave your site without visiting any pages other than the one they first arrive on. This can be caused by many factors, and the more you understand your site’s user data and analytics the more you can do to lower bounce rates. 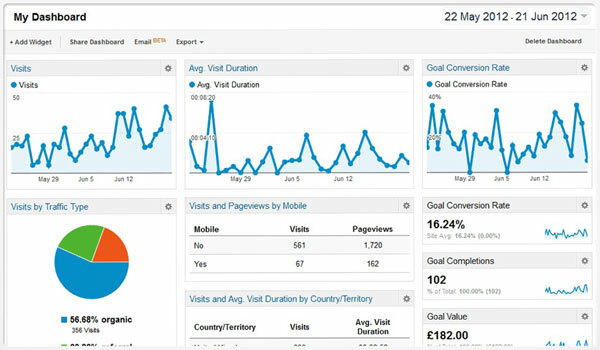 Google Analytics is a great way to track your site’s user data and analytics and to find out how high your bounce rate is. Google Analytics will help you see which pages people are bouncing from on your site and where these users are coming from. This can help you start investigating why your bounce rates are high. Once you’ve looked at the data, it is time to implement some strategies to decrease your bounce rates. So what can you do? First things first, you need a professional looking website with a high quality design. Your site should impress your audience and present your business or project as reputable. If your site is under whelming your visitors won’t regard you as an expert in your field and you will lose them to competitors from the outset. Using a premium WordPress theme is an effective way to lower bounce rates on your site. A modern, stylish and beautiful design will go a long way to wowing your audience and encouraging them to stay on your site. It may well be that your website is not working well on mobiles and other handheld devices. Unresponsive themes are infuriating for viewers and can be a big contributor to high bounce rates. Nearly all new themes are responsive and retina ready, so it is worth considering upgrading if you are using a theme that’s more than a couple of years old. However, if you’re particularly attached to your old theme or aren’t ready to switch just yet then you can use a plugin to make it responsive. The free WordPress plugin Jetpack offers a Mobile Theme module. This uses key features of your site to create a custom mobile design, so those visiting on a mobile or tablet will get a similar user experience to those on a computer. Having a responsive version of your website like this can go a long way to lowering bounce rates. A user friendly, easy to navigate site is essential to keep bounce rates down and encourage visitors to stay on your site for longer. Make sure your site isn’t too cluttered, with important information clearly visible. Menus should be easy to use and make buttons obvious, so people know where to click. Always give people something to do, so they know where to go after they have finished reading an article. Use a ‘Call to Action’ to encourage people to do a particular task of your choosing. For example, ask people to sign up to a newsletter or leave a comment. You can also use internal links to redirect them to another article. Yet Another Related Posts Plugin (YARRP) is a free WordPress plugin that displays other relevant posts to your readers. Using a related posts plugin is a great way to get visitors to click through to other pages and stay on your site. Not only should your content be interesting, original and well written, it should also be well formatted. Break your content up with headers, paragraphs and images to make it easy for your viewers to skim read. This easy to digest content will help to lower bounce rates. By creating content that engages your audience they will be more likely to click onto other pages to read more. Slow loading times are a surefire way to push up bounce rates. No one wants to wait for pages of a site to load and most of us will immediately click off a site if it is too slow. So what can we do to speed up our sites? A good web host can keep your website’s downtime at a minimum and your site load times fast. WP Engine specializes in WordPress hosting and is extremely popular with businesses and professionals. However, if your budget doesn’t stretch to WP Engine’s prices then there are numerous other satisfactory web hosts available. Using a caching plugin is another effective way of improving your site’s load times and thus helping to lower bounce rates. Caching plugins work by storing data from your website. So when a web page is loaded a static version of your content is displayed, instead of requesting new information from your server each time. W3 Total Cache is an impressive free WordPress plugin that will help optimize your website and create considerably faster loading. Recommended by web hosts like Pagely and HostGator, and with over one million installs, it is definitely a plugin worth investigating. If your site is very image heavy, this content could be dramatically slowing down your site and in turn causing high bounce rates. WP Smush is a free WordPress image optimization plugin. It works by reducing image file sizes and making them easier and quicker to load. There is also a pro version, ideal for particularly large size images. 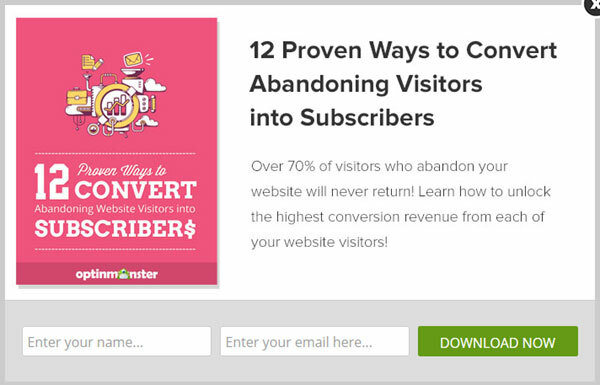 Popups can be very irritating and often cause viewers to leave a page as soon as they have arrived. If you want to lower bounce rates then use popups carefully. If you have to employ them, include a very good lead magnet that people won’t mind being interrupted for. Delaying their arrival or using an exit intent popup are also good options. Bounce rates can be high if you are attracting the wrong type of audience. Make sure you are ranking for relevant keywords so you’re attracting the right visitors who will be interested in your content. Yoast SEO is a highly effective WordPress plugin that can help you with SEO for your blog. All of the solutions mentioned in this article should help lower bounce rates. However, if you want a more in depth analysis of what users are doing on your site try using a premium solution like Crazy Egg. This service uses heat mapping to see exactly what your visitors are doing on your site, which can help highlight where problems occur. By understanding where and why your bounce rates are high, the better the chance you have of fixing them.